What was the turning point or the moment of realisation that you need to do something or change your lifestyle? My turning point was the realisation that I was becoming a Mother. I could not live my life selflessly anymore. I now had someone that was going to rely on me to be there for them for at least the next 21years and I could not do that at 22 stone. My lifestyle was a shambles, working in a concrete jungle sitting at a desk 24/7, living on takeout and slowly but surely getting bigger and bigger. I had to ask myself what it was going to take for me to cop on and man up to the fact I was a heart attack waiting to happen. When I was pregnant I had gestational diabetes, I struggled to do daily chores that other people take for granted, I broke toilet seats, I could not walk up the stairs without gasping for breath. Life is just too short to be short to be short of breath! 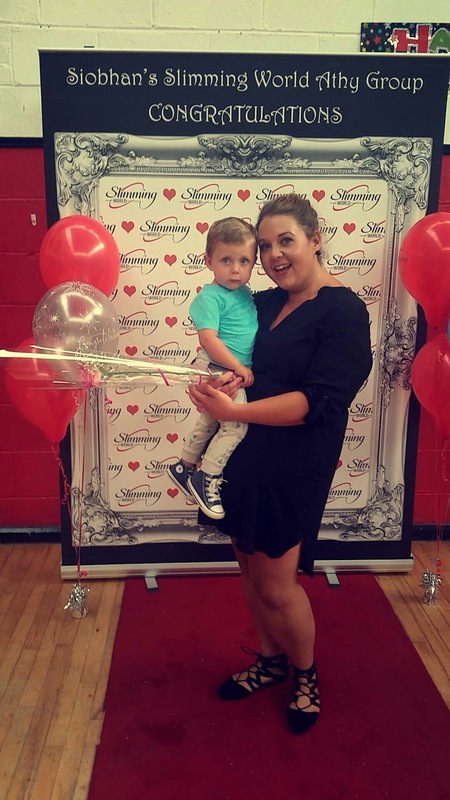 Why did you chose Slimming World? I chose Slimming World because of all the amazing wholesome food you can eat and not have to count a single calorie along the way. It was the perfect solution and opportunity to change my life for good. What was your first meeting like and how did you feel when you stood on the scales the first time? When I joined in January 2014 I walked through Slimming World doors for the 6th time! I will never forget the anxiety and worry that I had built up, thinking what will my consultant and the girls on the social team think of me? Would I lose weight? Would I stick with it? Petrified of failure!! What was your starting weight and did you set an initial goal? I stood on the scales to my amazement I weighed 20 stone 12.5lbs. I had lost over a stone since my son was born and it was a great boost to start my journey. But I still weighed over 20 stone which was just to most gut wrenching experience. As I still do I take every 7lbs as they come and work on small goals. If I was to take on a mountainous 10 stone weight loss the 1st week I don’t know how far I would be now. How was your first week? Were you hungry? I knew when I joined I was ready for it, I took every day as it came and concentrated 100% on getting the plan planted firmly in my head. I wanted to learn and I wanted to absorb everything that was going to get me to where I wanted to be. From day one I can honestly say I have never been hungry, because I plan and I make sure that I always have a healthy on plan option waiting for me in the fridge. How much weight did you lose in your first week? My 1st weigh in did not go to plan as I would have liked. I lost 1.5lbs and was so disappointed. 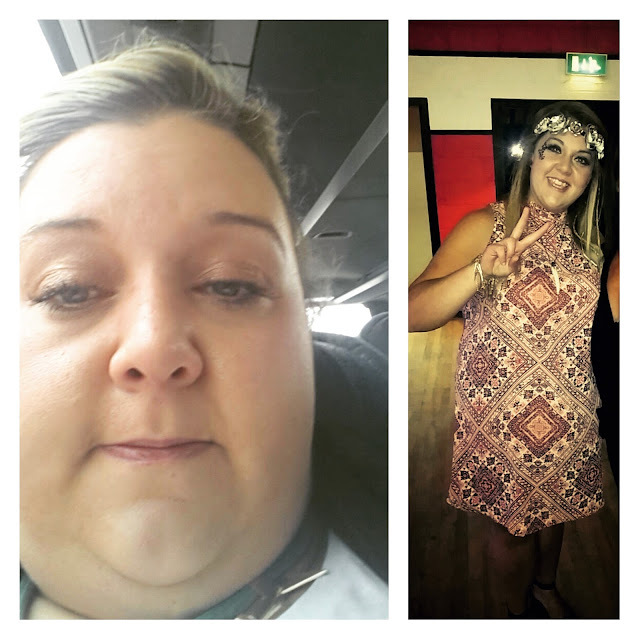 But someone advised me that day not to worry or let it throw me off, that at the end of the day all of those pounds add up and they defiantly have. How did you feel when you started to look and feel different? To be the size that I was with a height of 5ft 2, you can imagine I was like PC Plod in Noddy the cartoon, rolling from place to place! When my cousins 21st Birthday came around in April 2014 and I was able to fit into a size 20 top, my elation was just undescribable. It was like winning the lotto. Not only did I look better but for the 1st time in a very long time I felt confident. The hardest part of my journey was accepting that this was not a quick fix. Accepting that this was the way I would eat for the rest of my life. Letting go of old habits and creating new ones. That was the light bulb moment I was searching for all my life, if you cannot accept the above then you will be wishing and dreaming for change for a long time to come. I had a continuous loss for 22 weeks, then I had my 1st gain, I thought to myself that’s it now it’s all over I am going to fail AGAIN! Was it? Absolutely not, I picked myself up, brushed myself off and had another amazing week. Sometimes the scales is not your friend but that’s ok because if you keep the faith it will all add up in the end. The scales do not measure, fitness, inch loss, beauty and they certainly do not measure how amazing you are inside and out. This is a journey, not a race to the finish line. Life gets in the way sometimes, you have to live your life and enjoy yourself. This is most certainly not a dress rehearsal and you have to remind yourself that you will cross that line! 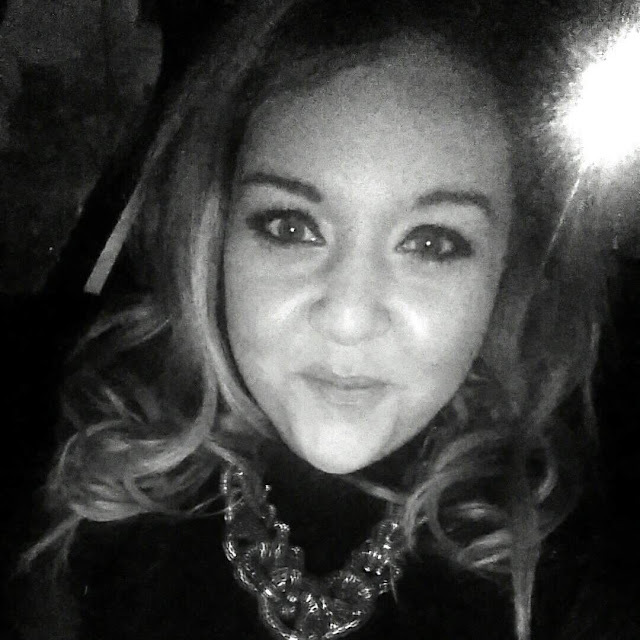 I am not one for living in the past but if I could go back and have a conversation with my 20 year old self, who lay in bed all day and lived to eat, I would tell her to stop looking for a quick fix, and to just have the confidence to believe in her self-worth. After all Life is Journey and you hold the Map! Nobody can do this for you, only YOU! All of Nicolas social media handles are @thenakedblondie so get following her.